Agway carries a wide variety of plants, flowers and trees to beautify your garden and glorify your landscape. Annual gardening is fun and simple. 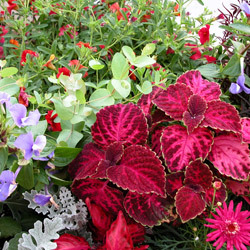 Annuals grow quickly and fill your garden, window boxes, baskets or containers with blossoms from spring until fall. Annual plants come in a myriad of sizes, shapes, and forms that enable you to experiment with new garden designs every year. Your garden annuals can be short, tall, spiky, mounding, full of flowers, beautifully leafy, sun or shade loving and everything in between. Click here for more information on Annuals. 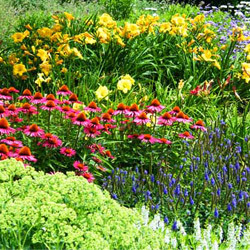 Perennial gardens can provide many years of beauty and enjoyment. Careful selection of plants and thoughtful planning can result in a full season of color. Perennials often require less maintenance and, once established, generally require less water and have fewer pest problems than annuals. There are perennials for every location in your yard - sun or shade. Click here for more information on Perennials. 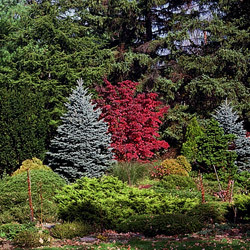 Trees and shrubs form the background of your home's landscape. Every yard needs more than just pretty flowers to make it complete. Trees and shrubs define the landscape, indicating its limits and breaking it up into separate parts. You'll want the grandeur of trees arching over overhead; shrubs providing privacy and protection; vines filling in bare walls or fences. Without trees and shrubs, flower beds and borders would seem to float on a sea of grass. Click here for more information on Trees and Shrubs. 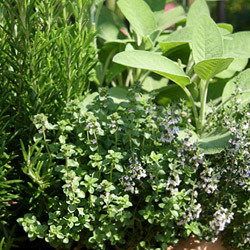 Herbs and vegetables are a great addition to both your yard and your kitchen. And, there is no rule that says vegetables, herbs and flowers can't mix! In fact, the vegetable garden will benefit greatly from the addition of some flowers and herbs. Interplanting flowers and herbs offers several beneficial features that can protect your vegetables from insect pests and even make them more productive! Click here for more information on Herbs and Vegetables. 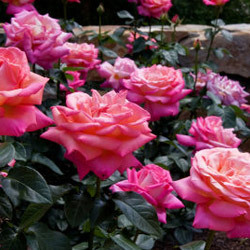 Fill your garden with the sweet scents and beautiful blooms of these amazingly fragrant flowers! The rose is an easily recognizable flower common to many gardens, and is the official flower of the United States of America! The rose also grows wild around the world. Throughout history and across cultures, roses have been renowned for their spectacular, multicolored blooms and strong, enchanting scents. Click here for more information on Roses. Turn your yard into an edible landscape with fruit trees and berry bushes! 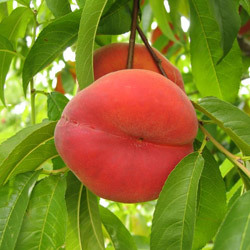 Edible fruits are tasty, healthy, life prolonging, attractive, and ornamental. Edible fruits can be incorporated into the landscape as flowering plants, such as fruit trees with their beautiful spring flowers. Blackberries and blueberries offer attractive hedges. Vining grapes can add a trailing appearance to walls and trellises. Strawberries are beautiful when used as a groundcover. The fruit is the bonus! Click here for more information on Edible Fruit.